Chicago Blackhawks Training Facility - American Hydrotech, Inc.
Chicago is one of the nation’s largest cities, boasting a vibrant culture, vast greenscapes, a bustling lakefront and a beach. In addition to the beautiful backdrop, the city is known for its architecture and of course, deep rooted fans and legendary sports teams. The Chicago Blackhawks have grabbed the hearts of many fans young and old for years, bringing home three Stanley Cups in the last eight years to underscore their dynasty and pay tribute to their fans. Hockey culture and the Blackhawks are truly an extension of the Chicago community, as evidenced by the construction of the team’s new state-of-the-art 125,000 sf training facility. This facility will not only deliver amenities and house two full-size rinks for the team’s use, but also promote year-round hockey development programs and serve as recreational and event space for the Chicago community. 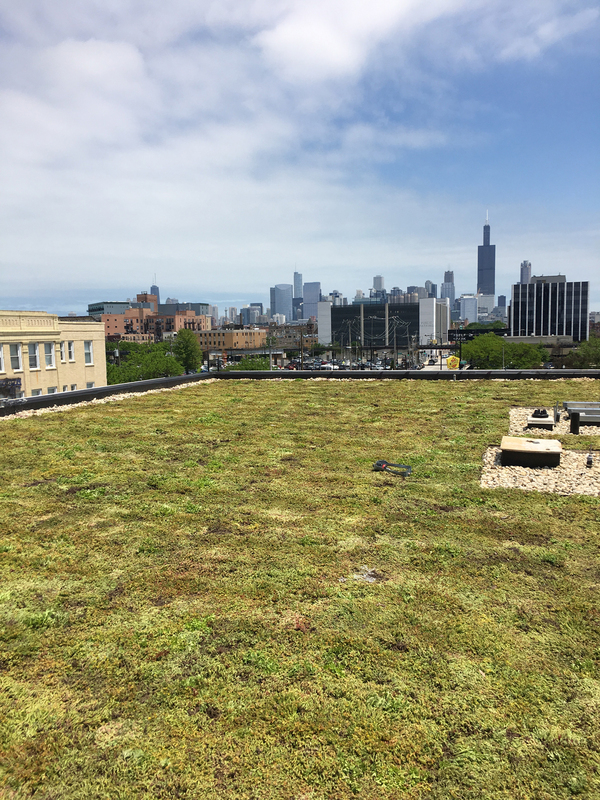 In typical Chicago fashion, architects and planners mandated this facility meet or exceed all green and sustainable standards for the city, which included the construction of a 24,000 SF green roof. Plans called for an American Hydrotech Extensive Garden Roof® Assembly to be placed on top of of the building's metal roof deck. 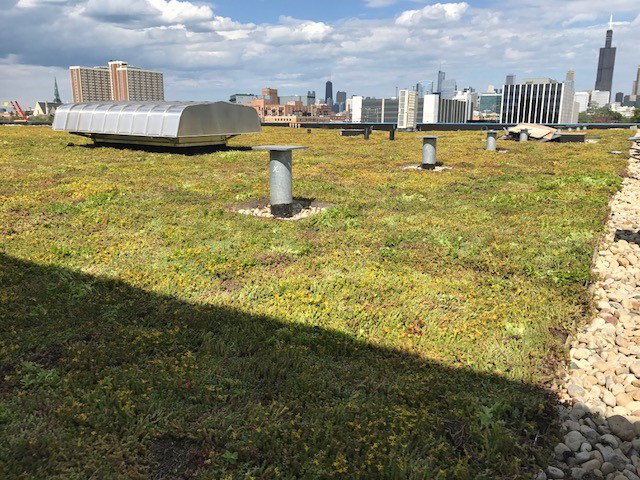 Hydrotech worked with the designers to select roof components and plant material that were optimized for both Chicago’s climate conditions and structural limitations. The Extensive Garden Roof Assembly was planted with InstaGreen® Sedum Carpet which contains 9 to 15 different species of Sedum. Sedum is a succulent plant that is able to store water in its leaves and grows well under diverse conditions. The sedum carpet provides almost 95% coverage at the time of installation, which is not only aesthetically pleasing, but also reduces initial maintenance requirements. 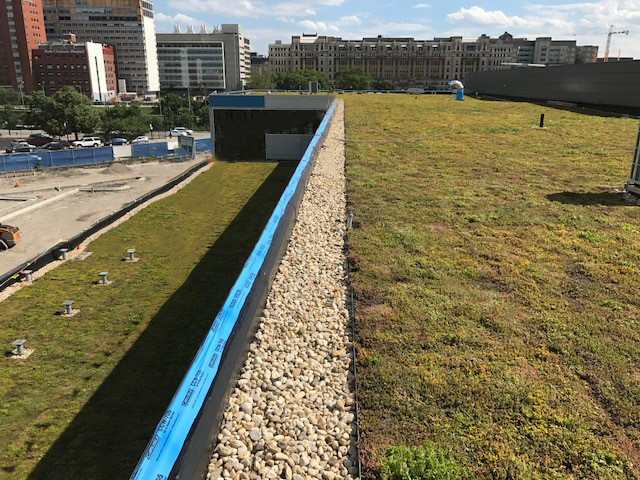 In addition to reducing the urban heat island effect, and purifying the air, the Extensive Garden Roof® Assembly is able to capture more than 1.5” of water on the roof, which plays a major role in stormwater management.